This year’s Chelsea Flower Show was one for young, up-and-coming designers. Hugo Bugg’s garden was a great success; I was fortunate to be a volunteer and so heard first hand the positive comments from the public. At the tender age of 27, Hugo Bugg has received an accolade few garden designers dare hope for in an entire career. On Tuesday he became the youngest garden designer to achieve a gold medal for a show garden at the Chelsea Flower Show. He may also have been the first designer in the show’s illustrious history to tweet “Frickin GOLD!!! #rhschelsea” on receiving his medal at 8.30am. His RBC Waterscape Garden is a combination of message and aesthetics designed to highlight the work of the Royal Bank of Canada’s Blue Water Project, a 10-year commitment to help conserve the world’s fresh water resources. Gardens with a message are notoriously hard to pull off, but Bugg said he enjoyed the brief. “It helped me. It was a perfect brief for a show garden really, and I like taking a concept and finding ways of simplifying it and making it accessible and good to look at,” he said. Water trickles and pools through the garden – between smooth concrete and on-trend Corten steel walkways – and were this not a show garden would seep slowly into the earth, rather than heading for the drains. Bugg said: “In light of the severe flooding we’ve seen in parts of the UK, I wanted to demonstrate how even inexperienced gardeners can manage the water used in their gardens through simple techniques. The garden challenges visitors to take responsibility for managing water usage. Bugg grew up in Devon and was inspired to turn his hand to garden design when his parents moved to a cottage with large gardens. “I worked with my father on an ambitious project to restore the gardens. Watching the new landscape emerge was so exciting,” he added. He graduated from University College Falmouth with a first class degree in garden design in 2008, the year that the Society of Garden Designers named him Student Garden Designer of the Year. He now runs his own company, based in Exeter. This year, the horticultural world is aquiver over a brace of young men taking the Chelsea show gardens – the big, vastly expensive set pieces upon which the TV cameras linger longest – by storm. Brothers Harry and David Rich, aged 26 and 23 (David is the youngest designer to exhibit on the show’s Main Avenue), achieved a silver gilt medal for their Night Sky Garden, a shimmering evocation of the Brecon landscape where they grew up. Silver gilt medals also went to show gardens designed by Matt Keighley, 29, who created a beautifully planted if sombre garden for Help for Heroes and by Matthew Childs, 30. Even though the most coveted award, Best in Show, went to seasoned Chelsea designer Luciano Giubbilei, the sense of a new front is hard to dismiss. All of this has not come about by chance. The Royal Horticultural Society exists to promote and further the cause of horticulture and in Bugg it may have one of its great successes. He is the product of a concerted effort by the society to encourage new talent into the garden design world and has been the next big thing since 2010, when he won its Young Designer of the Year award. This nurturing process led to his hitting his show garden build like a seasoned pro. “Nothing really went wrong on the build,” he smiled. “I have a fantastic team. There were lots of prefabricated elements so we just had to bring them in. A couple of trees didn’t come into leaf on time but we found replacements.” He seems unruffled by the process, but then he has been at this for all of four years. Every soil contains a bank of sleeping seeds. They will lie dormant below the surface for years, waiting for the moment when moisture, temperature and sunlight combine to create the perfect conditions for germination – which is usually when those seeds are serendipitously brought to the surface. This is why – in the days before they were meticulously sprayed out – corn poppies (Papaver rhoeas) would pop up in corn fields: the annual turning of the soil churned the seeds to the surface and, being a pioneer species, they were able to get up and away before the corn crowded them out. This is also why they became a feature of the deathly landscape at Flanders. Though thousands of terrified, weary boys were the first casualty of trench warfare, nature was the second. This vicious style of battle, with its endless explosions churning up the earth, left the area almost devoid of life. But when every blade of grass and tree had been scorched, blown apart and trampled, when the soil had been dug to depths that would never normally be troubled, poppy seeds were liberated from dormancy and found themselves with sunlight, water, bare soil – and no competition. After a long, cold winter, the weather around Ypres in Belgium was unusually warm in the spring of 1915, and soon poppies sprung into life. It is easy to see why the poppy has become our symbol of remembrance. It is euphemistic, yet at the same time it places you physically in that awful place. But the poppy is also hopeful: of life following death, of the triumph of beautiful nature over the ugliest of man-made scars. It is 100 years this summer since the outbreak of the first world war, and to mark it the Royal British Legion has launched the Centenary Poppy Seed Campaign. It wants to see swathes of poppies growing throughout the country this year, and now is the time to buy and sow their seeds. While the poppies of Flanders burst into bloom without a scrap of tending, there were millions of seeds in that soil, waiting to succeed or fail, and you will have only a small packet, so give yourself a good chance of success. Work the soil to a fine crumb before sowing (any time from now onwards), to help the seeds make good contact with soil and water, enabling them to germinate and take hold. Lightly rake over the soil, so the seeds are just covered, and water with a fine rose (you don’t want to wash the seeds into clumps with a hosepipe or watering can spout); and water frequently during dry weather, at least while the seedlings establish. Once they are small plants, they should need very little attention, though you may want to thin them to 20cm apart. A lovely way to use corn poppies is as part of an annual meadow mix, which will include other species such as cornflower, scentless mayweed and corncockle. Unlike perennial meadows, which need poor soil, these annual mixes thrive in rich soils, so are ideal for a border or patch of allotment. Sow them just as you would straight poppies. I struggle each year with the wearing of a poppy: sometimes I do, sometimes I don’t; and sometimes I wear a white poppy, for peace. Poppy-wearing feels obligatory these days, and non-poppy-wearing frowned upon – it has become a way of publicly proclaiming a mix of patriotism and empathy, and I would hate for our gardens to go the way of our newsreaders’ lapels. But even so, I want to commemorate the war this year, and a ribbon of poppies in a corner of my allotment may be the way for me to overcome my qualms. My allotment’s history – like so many others – is bound up in war: our allotment society was formed as a reaction to first world war U-boat blockades and food shortages. Many of the men and women doing their bit by working the new plots would have had nephews, brothers and sons in Belgium and France, so it feels like the right place to make a mark. Come the anniversary, my poppies will be in full bloom among the cabbages and potatoes that have been grown on my plot for nearly 100 years. What a beautiful, simple way to remember. • You can buy the British Legion’s poppy seeds from branches of B&Q. 1. Fear not, you don’t have to start from scratch. Begin with a plain wreath as above – from £12 – and add your decorations using wire or wired flowers. 2. Find the top and bottom of your wreath – the bottom being the point where you would like the ribbon bow (or other key feature) to sit. At the opposite end, place a large flower head, cutting the stem but leaving enough to push through the wreath and twist around the back, around the wire frame that backs the wreath. It will hold in place easily, but you can also use craft wire for added hold or to secure flowers that aren’t wired. 3. Use either individual flowers or cut apart a spray (of roses, for example, as above) into individual stems. This gives you different sizes to play with. The Poinsettia is of course the flower most associated with Christmas, but unlike the real thing, these silk versions won’t die if you forget to water them in the new year. 4. Work around from the top in both directions, and don’t worry about gaps, they can be filled in at any time. 5. Attach your bow and secure in place with craft wire, or tie on with another piece of ribbon. 6. You can then add more seasonal joy with, for instance, cinnamon sticks, which will also fragrance your home. These ones come complete with hangers for easy securing. • Decide what you want to achieve first – sketch out a rough design or compile ideas from magazine cuttings. • Keep stems to a similar size. Twice the depth of the wreath should allow plenty of excess for securing into the base. • Space flowers evenly. Smaller flowers such as gypsophila and viburnum are useful for filling in spaces. Beaded berries, cinnamon sticks and Christmas decorations all make excellent finishing touches. • Don’t worry if it goes wrong, simply pull the blooms out and start again. • You can also update your wreath next year – change the colour scheme, add some more decorations or replace bits that may have got damaged in storage. Drove down to Cornwall for a few days; part business, part recreational. Typically, on crossing the River Tamar, it began to rain (and continued pretty much all week). I have clients in Oxfordshire who spend a month each year in Cornwall and wish me to design a Cornish element in their garden. Today I am meeting them on Bodmin Moor to choose some granite. The Cornish Landscaping Granite Company is a wonderful exercise in farm diversification. Their farm is littered with boulders, each one sculpted by the elements over thousands of years. As landscapers, designers and architects buy them, so the farm gains more grass for grazing. 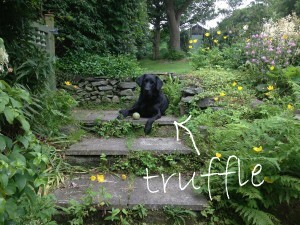 What we are looking for is a shapely boulder to use as a kind of sculptural focal point and bird bath to sit on a lawn. 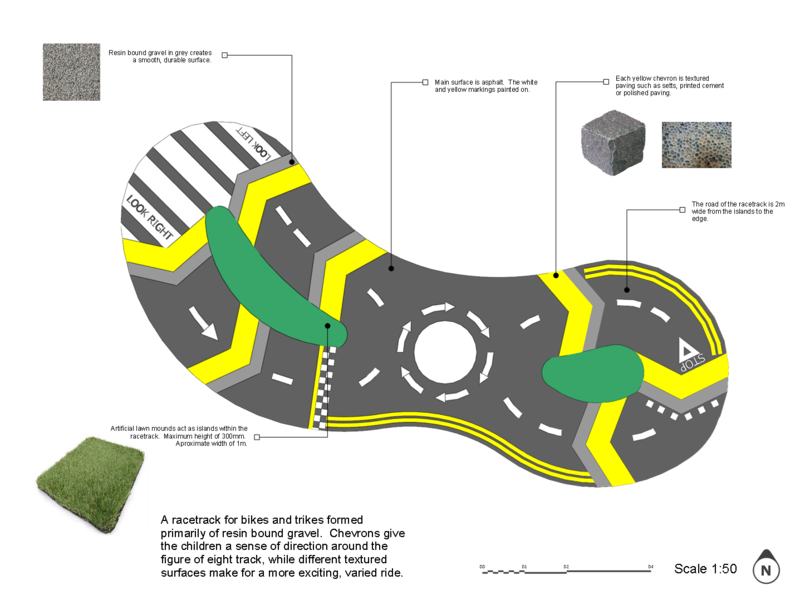 They have young children so it is likely to be used as a climbing frame too. At the summit of the nearby Trewortha Tor is King Arthur’s Bed: an eroded series of bowls resembling a body in the foetal position. Legend has it that this was where King Arthur slept – in great discomfort, I imagine. I want to find a tor-like slab into which we can carve a bowl, but one that is also low and child-friendly. It didn’t take too long; John Mainwaring (one of the owners) had sought out some possibilities previously. Interestingly, my client spied a smaller partner boulder to be used in a kind of Zen mother/daughter way, which was a fantastic idea. We also found a seat-like boulder that will be placed to enjoy the magnificent view at their Oxfordshire home. I went back up to the farm to determine the size of bowl to be carved into the rock. By the time I had got there, Graham and John (the owners) had carefully lifted the stones and had them in the yard. The boulders are well colonised with various mosses, lichens and sedum that I am keen to preserve if possible. I suspect the drier climate of their new home may not help though. With the bowl size marked out in chalk, Graham began cutting immediately. There is pressure from the contractors to get the stone up to site quickly while they still have hired machinery capable of moving three tonnes of granite about. A quick visit back up to the farm to see the finished bowl – it was perfect. Back in 2011, my Chelsea flower show garden was relocated to a permanent home at the Eden Project owing to its Cornish themes and planting. My then-sponsors Homebase kindly made this happen and now it sits snugly amongst the biomes. Tonight I am giving a talk about the garden’s journey to the Friends of Eden – a very relaxed affair with lots of plant-related discussion. I was able to have a good look at the garden and it has really blossomed. The tree ferns were in full frond and some wonderful Aralia provides an excellent backdrop to the pool. Sure enough, some children were paddling in the streams just as was always intended. Couldn’t resist an invitation to see The Taming of the Shrew at the open air Minack Theatre. I truly recommend a visit for the sheer magnificence of the place alone: an amphitheatre carved into the granite cliffs above Porthcurno surrounded by the sea. Someone has been very clever with the exotic planting with various succulents such as Aloe and Crassula colonise every nook and cranny in the rocks. A beautiful stand of Leucadendron argenteum flank the entrance, underplanted with Aeonium and Limonium. It heaved it down with rain but the play and scenery helped distract us from the elements – even the gannets put on a great diving show during the interval. The drive back up to Suffolk from the south-west tip of Cornwall is a long one, worsened by the extra traffic created by the traditional changeover day for cottage rentals. I started early and stopped at St Nectan’s Glen near Tintagel for breakfast and quick peek at the amazing waterfall, which I had to myself at that time of day. The granite boulders arrived safe and sound in Oxfordshire and I was back on site (still raining) to assist in the positioning for best effect. Adept machinery handling by our contractors Creative Landscapes made the process extremely easy. Within a couple of hours we had them placed ready to be partially submerged into the soil and turf as though they had been there for years. The rain may actually help. The month began with a fabulous trip to the Isle of Man. It’s a diverse place and just sitting in the garden alone was relaxing, great to see the Hydrangea petiolaris in full bloom and working its way across the cottage wall. Interesting to note the effects on nature, being further 300 miles further north, Yellow Flags were in bloom whereas in London they were passed best. A consultation in Clapham took me south of the river to meet a lovely couple of newly-weds, albeit one of them was on speaker phone, and I look forward to progressing the design which will incorporate a day bed and built-in barbecue. The installation of the roof terraces in Angel Islington, is now scheduled in for mid-August and it couldn’t come sooner. The east terrace features some great contemporary planters from Italian company Serralunga, you can see them on my Pinterest page along with lots of other gorgeous planters. Phil Franklin Landscapes asked me to design a race track to be constructed in a school playground, the children will be able to race around the track on trikes riding over different surfaces including setts and printed cement. I seem to walk through the local park daily and it really is a great park with some beautiful old trees full of character as well as some fantastic plating that was put in a couple of years ago. I have started to tweet photos every couple of days as way of record, click here to follow me on Twitter. Scented: Jasmine, an oldie but a goody. Put this one in a sunny spot you’ll find this climber is reliably clothed in scented, white flowers from year to year. There is a little maintenance to consider. As it is so fast growing it is necessary to prune out some of the shoots after flowering. This is an easy to grow climber and you’ll be rewarded by taking them time to keep it in check. Architectural: Century plant (Agave americana) Although classed as tender this succulent, like many more plants in recent years has come through some of the harshest winters unscathed. If you experience heavy frost or don’t want to take your chances it should be moved into a greenhouse for the winter months. The glaucus spikey leaves look great paired with softer foliage of an ornamental grass such as Stipa tennuissima. Textural: Tufted Hair Grass (Deschampsia cespitosa) the flower-heads of this soft and airy ornamental grass catch the light beautifully, adding movement to the garden in the breeze. 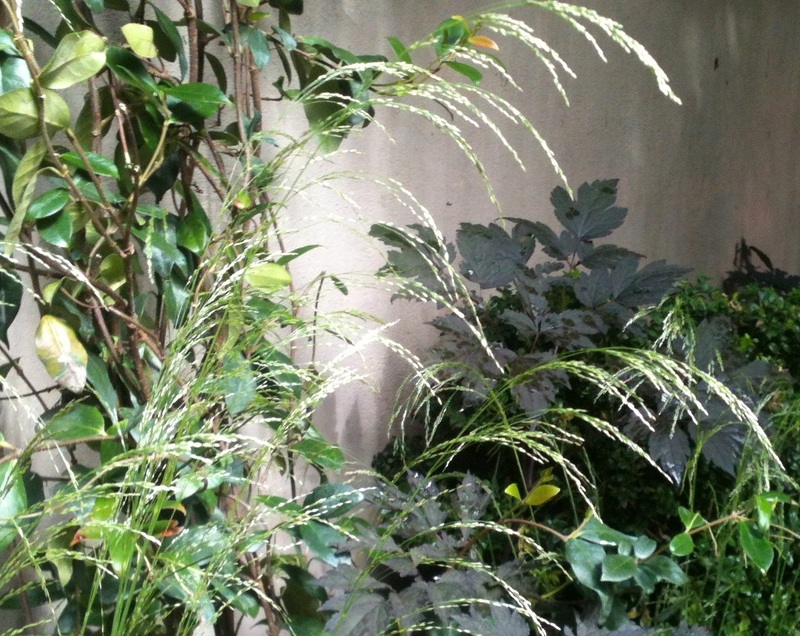 Grasses are great for a low maintenance garden, this one requiring little more than removing the old flower stems in early spring. 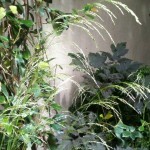 Tufted hair grass is a useful grass as it’s happy in partial shade as well as full sun. Leave the flower stems on for winter interest. Extending the season: Although the June Berry tree, or Amelanchier lamarckii, does not strictly peak in summer, it is a great plant all year round. In recent years, growing it as a multi-stemmed tree has being increasingly popular. Amelanchier’s have pretty white flowers in spring and orange-red leaves in autumn. Not only this but the delicate framework of branches, seen best once naked, create an architectural specimen and also work well in a number of other situations. For example, as a contrast to more formal block of topiary planting beneath or seen against a coloured feature wall whereby the wall acts as a foil. The most elegant ticket tout in Britain was standing under a chestnut tree on Hampton Court Green: navy blazer with brass buttons, silver hair, Panama hat, rolled-up copy of the Telegraph. “Ticket for the show, madame?” he inquired courteously. “No, I’m afraid we bought ours the day booking opened,” the woman in the flowery dress replied. “Of course you did, of course you did,” he agreed immediately. Since most people had arrived for the biggest flower show in Britain equipped to retake the empire with hats, water bottles, fans, cameras, notebooks, plant dictionaries, Waitrose sandwiches, Alpine walking sticks, rugs and myriad plastic trolleys for all the plants they would buy to garland the gardens of the home counties and maybe beyond, the tout’s chances of finding anybody who had forgotten to buy a ticket were poor. Although the show opened to the public on an improbably glorious day and people were queueing 10-deep for Pimm’s, apocalyptic angst seemed to have gripped the souls of many of the gardeners. Visitors walked through Catherine Macdonald’s gold-medal winning garden through the sound of a raging forest fire, and could pick up a list headed “the desolation planting”. In Arek Luc’s I Disappear, inspired by a line in a Metallica song, visitors peered through a rusting security fence at a real man sitting under an umbrella wearing a gas mask. Luc said the man was “breathing in the purified air created by plant photosynthesis”, but since the backdrop is raw timbers painted with the endlessly repeated words “when I’m gone do you bury me?” (more Metallica) the effect was somewhat more ominous. “Nice big aggies,” one woman said, admiring his agapanthus planting, “but I’m not sure about all that green plastic stuff, are you?” “Ooh no, not for me,” her friend agreed. “Oh my God,” a woman sighed, spotting the main feature of Bruce Waldock’s Ashes to Ashes garden, another gold-medalist: a copse of charred trees, standing over scorched tombstones and a rivulet of blood red and black plants. His garden spirals on, he pointed out, to a little clump of brilliant green trees: elms bred to be resistant to the Dutch elm disease that almost wiped out those trees across Britain a generation ago. The happiest people in the show were John Cox, and Skelly, his lifesize bronze skeleton sitting grinning on a park bench, skeleton dog beside him. Cox wanted to be a surgeon, but became an engineer before in midlife becoming a garden statue designer, who casts his sculptures in bronze in his own foundry. Several figures, including the skeleton dog, were suggested by devoted collectors. Recession be damned, orders keep pouring in, though he is almost too busy to take on new work, because of commissions for new or repaired war memorials in time for next year’s centenary of the outbreak of the first world war. His biggest pieces demand a bit more space than the typical London hearth rug back garden: the children’s favourite is his 1.5 metre (5ft) dragon, which lights up and blows smoke out of his nostrils, yours for £1,750. RHS Hampton Court Palace Flower Show, until Sunday. Plant and fittings sell off starts at 4.30pm on Sunday. Nine years ago this September, I got married with a bunch of British flowers in my hand. The wedding was a bit of a DIY affair, and my friend Esther McMillan turned up with buckets of her own freshly picked flowers. She stood under a parasol in my mum’s garden making my bouquet, filled with dahlias, dark red cotinus leaves turning orange at the veins, the spherical, rustling seed heads of scabious ‘Paper Moon’ and the elegantly trailing flower heads of love-lies-bleeding (we agreed to call it Amaranthus caudatus for the day). It’s true I wasn’t able to specify a shade of rose or match lilies to cummerbunds and cravats (had there been cummerbunds and cravats). It was rather like watching a chef adept at cooking seasonally: the result was a piece of a September garden in my hand. I couldn’t imagine anything better. Flower farms were once a familiar feature of the British countryside, and market gardeners grew flowers among their vegetables. In the 1800s, larger farms sprang up as transport links improved, and daily trains carried violets from Dawlish, snowdrops from Lincolnshire and narcissi from Cornwall. Esther agrees. “The difficulty for British flower growers,” she says, “is saying to consumers that you can’t have everything you want. Tulips just aren’t out in December. We need to educate people, but in a positive way.” Her idea is to charm them with seasonality: coloured stems of cornus and willow for winter, and in summer herbal foliage such as rosemary and mint. She is also concentrating on ephemeral flowers that work for one-day events such as weddings, but would fade quickly compared with supermarket bunches. “Thick petals on roses mean longer shelf life, but less fragrance, so this is where we can do better than imported supermarket flowers.” McMillan is among a new generation of savvy growers marketing British cut flowers, playing on nostalgia for simple, scented, country-style flowers, and adding value by offering site visits and flower-growing courses. Once big players get involved, you can hope that a certain momentum has been reached, and Waitrose recently announced plans to source 40% of its flowers from British growers. For the royal wedding last April, florist Shane Connolly filled Westminster Abbey with spring’s green and white froth, and made the bride a small bouquet of lily of the valley. It was a wonderful showcase for seasonality: as if an exuberant hedgerow had been transplanted into the abbey. It was also a fine example of what British flowers can be, and what they were on my own wedding day: that moment of the year, magically placed in your hand. 1 Delicate, scented sweet peas are easy to grow, but rarely seen in florists or supermarkets because they have a short vase life. Likewise, scented, old-fashioned roses and dahlias: all wonderful in a vase. 2 The glossy supermarket bouquet look is hard to pull off with homegrown flowers, so don’t try. Instead of the tropical, dark green foliage beloved of florists, grow rosemary, mint and grasses. 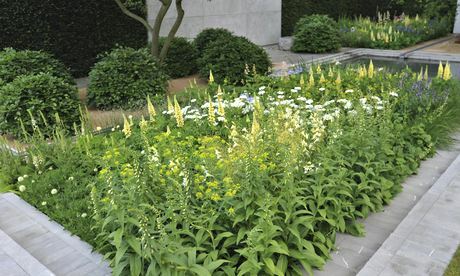 3 If you are growing for an occasion, think big: delphiniums, eremurus and gladioli are as easy as any other flowers, but fill a big vase with ease. 4 With midwinter lilies and tulips off the menu, be imaginative about the darker months. If cut back each year, shrubs such as willow and cornus produce vibrant stems, while echinacea, phlomis and hydrangea have wonderful seed heads. 5 Think small — a few tiny irises or a spray of primroses can have all the beauty of a more buxom bunch. • The Garden Museum’s Floriculture – Flowers, Love And Money exhibition runs until 28 April.